Competition Trailers is a manufacturer of custom specialty trailers. 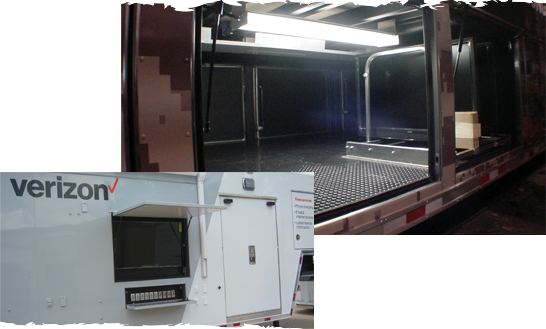 We manufacture trailers for display, sales, service, and many other applications. At Competition Trailers we take pride in being able to custom build to your specifications. We listen to each individual need and try to engineer the best possible trailer for a particular application. Competition Trailers has over 60 years of combined experience. Competition Trailers racing customers include those from NASCAR, NHRA, IHRA, IRL, CART, Motocross, Tractor Pull, and Dirt Late Model among others. 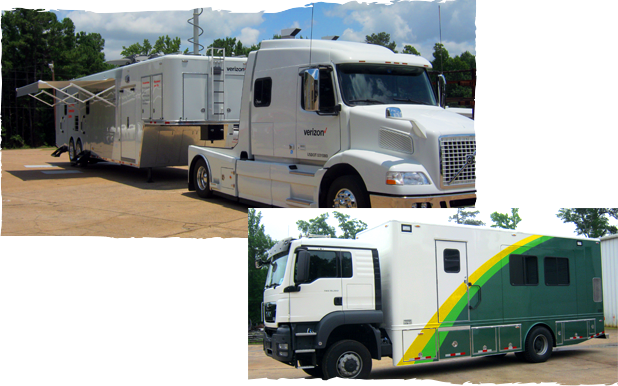 Although our emphasis throughout the past years has been in the racing industry, we also manufacture trailers for various other needs. Examples of this would be several types of display and sales trailers such as for T-shirt/cap sales, silk flower displays, aviation displays, and other souvenir sales.